Well, there is an alternative reading list for the student with enough own-time and determination to look. It is called the great canon of Western literature. It once formed the bedrock of university degrees throughout the English-speaking world, but has now been largely expunged from the lecture theatre. Nonetheless, in Australia we are fortunate to have a new, homegrown addition to our samizdat canon which articulates the conservative political tradition in a way no one has succeeded in doing so well before. It deserves not only to become obligatory reading for conservative students looking for rescue from their dismal academic surroundings but for anyone wanting a definitive analysis of this side of politics. This column appears in the November edition of Quadrant. 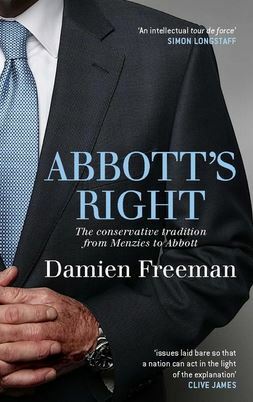 The book is Abbott’s Right: The Conservative Tradition from Menzies to Abbott, written by the legal and political philosopher Damien Freeman and published by Melbourne University Press. Although it is likely to be regarded by anti-conservative writers merely as a partisan contribution to the current contest for leadership within the Liberal Party, Freeman’s book is a refreshingly clear and illuminating account of what it takes to be a genuinely conservative political figure in this country. At less than 200 pages, it is also thankfully brief, yet as it goes along it contains enough summaries of its arguments to make its best points enduringly memorable. Freeman says he wrote it for two primary audiences. The first are those people interested in Australian politics but not yet sure where they fit on the political spectrum. The second are existing conservatives who want to better understand what conservatism means, how conservatives differ from others on the right of the political spectrum, and how they differ from those on the left. The book takes on the most difficult issue in selling conservatism. The last two centuries have been a time of rapid social change, which naturally raises the question of why a political position commonly seen as dedicated to maintaining the status quo still deserves to be taken seriously. As the pace of change accelerates, don’t those who welcome the new have a much better understanding of what is happening than those who still cherish the old? In a progressive country, change is constant and the great question is not whether you should resist change which is inevitable but whether change should be carried out in deference to the manners, the customs, the laws and the traditions of a people or whether it should be carried out in deference to abstract principles and arbitrary and general doctrines. In Australia, Freeman uses this distinction to show the difference between conservatism based on the traditions of a people and liberalism derived from abstract principles and general doctrines. He embeds the distinction in a discussion of the different political positions of some of the leading figures of the Liberal Party since the Second World War. He argues the liberalism of Malcolm Fraser was the abstract and general variety. The most fundamental of the Liberal Party’s beliefs, Fraser said, “is the right to freedom to choose”. From this basic position came his commitment to a private enterprise economy and the free competition of ideas, and his opposition to socialism. The power of the state, Fraser said, must be limited in the interests of promoting the freedom of the individual. Fraser also claimed his government was conservative, in that it stood for conserving “a framework of stability, continuity and order”. However, Freeman argues that while Fraser was philosophically committed to liberalism he was only committed to conservatism as a matter of contingency or political opportunity. He contrasts this with the conservatism of Tony Abbott, which he says is an inversion of Fraser’s position. Addressing the National Press Club in 2014, Abbott endorsed the Disraeli position that “change is to be welcomed, provided it’s change that accords with the best customs and traditions of our people”. While freedom had a prominent place in liberalism, Abbott argued, this was not because it was some fundamental principle but because it was one of the values the Australian people prized most. In other words, for Abbott the commitment to liberty is anchored on the primary commitment to tradition. Freeman quotes from an article of Abbott’s where he says freedom “cannot be systematised or converted into an ideology without losing the human context in which its appeal is most deeply felt”. Although liberty commanded “the broadest loyalty and widest sympathy” among Liberal Party members “it is not the only one and cannot always prevail”. It is Abbott’s non-ideological commitment to personal freedom, Freeman argues, that best fits the context of the Australian tradition. But isn’t this purportedly non-ideological position simply another system of ideas, that is, a political ideology in disguise? The great strength of Freeman’s book is his answer to this charge. He presents Abbott’s approach to public policy-making in the tradition of Edmund Burke, the eighteenth-century Irish author and Whig member of the British Parliament. Freeman also claims that much in the political legacies of Robert Menzies and John Howard derive from Burke’s influence too. Burke’s political approach, Freeman insists, is not ideological. Burkean conservatism is more a “cast of mind” than a philosophical system. If you are looking for a philosophy or an ideology for policymaking you are likely to find conservative public policymaking chaotic. The deepest insight of the conservative is, however, that you cannot govern by imposing ideas on a people. You have to govern in conformity with the temper of the people. This requires policymakers to adopt the right cast of mind. Abbott himself describes this approach as “pragmatism based on values”. Freeman devotes a chapter to showing how Abbott applied this idea in a variety of social policy contexts while a minister in the Howard government, including mutual obligation and work-for-the-dole in employment services. In health policy, he defended Australia’s “mixed system” of Medicare from pressures within both government and bureaucracy to emulate more internally consistent systems, like that of either the American free market or British central planning. I was disappointed, however, to find the book lacked a proper discussion of what I still consider the two most valuable contributions Abbott has made to public life: his persistence in calling attention to, and eventually solving, the crisis in border protection brought about by the irresponsibility of the Rudd and Gillard Labor governments, and his response to Islamic terrorism when, as Prime Minister in May 2014, he substantially increased funding to Australian intelligence services, after Gillard had presided over their decline by nearly 40 per cent in her time in office. Abbott’s new funding package was backed by legislation for increased surveillance of radical groups and restrictions on the advocacy of domestic and foreign terrorism, both of them the only effective domestic anti-terrorism approaches we have yet devised. The last of these included a National Security Amendment Bill which, among other things, protected the secrecy of special intelligence operations from being publicly exposed. Even though he and his government were pilloried by the news media on libertarian grounds for introducing this bill, Abbott was right to do so. The subsequent prevention of several major terrorist acts on Australian soil has now confirmed this beyond doubt. It should not be forgotten that these critical security decisions owed nothing to the libertarian sentiment within Australian liberalism, and a great deal to the Burkean legacy within Australian conservatism. He was every bit as bad as Turnbull; just in a different way. When he started listening to his critics he wilted like a stale lettuce and never recovered. Stand aside; it’s somebody else’s turn now Tony. The great 20th Century American conservative philosopher, Russell Kirk argued that conservatives believe there is a transcendent moral order, to which we ought to do the best we can to conform the ways of society, in other words they believe in the need for an enduring moral authority. He, like Edmund Burke believed in prudent change. I have often argued in these pages that his ousting was the best thing that could have happened to Tony Abbott, allowing him to throw off some of the mistakes he may have been pressured into, not only by an intransigent senate, but, as has been revealed in the last few days, by a fatally divided party room. His incomprehensible support for Aboriginal reconciliation was a bit of idiocy of his own, quite rightly pointed out by our Jody. Nothing remains static in creation, though there have been periods where there have been many decades of barely perceptible social change, particularly in England during the Middle Ages, and others with disturbingly rapid change, such as at the time of the Industrial Revolution. But for all this one needs to consider where the motivation for change is coming from; who is driving the perceived need for change and why. These questions need to be posed even more so now and at the same time there has never been a greater need for Burke and Kirk’s ‘prudent conservatism’ (something the current PM lacks in spades). Abbott as Health Minister did his best to impose a conservative Catholic policy on the funding of abortions. Understandable, as he did not get called ‘The Mad Monk’ for nothing. To be a conservative in Australia is to be a liberal and a democrat, and a supporter of the Eureka tradition which did so much to bring forth our liberal-democracy and our lighthouse of a Constitution. So I suppose that makes me a conservative. But there are conservatives and conservatives. For example, mainstream science persuades me not to support the right of the coal magnates to do as they please with humanity’s fossil carbon deposits. Those same magnates, as do their supporters around this website, would likely label themselves also as ‘conservatives’. To be a conservative in Franco’s Spain or in Batista’s Cuba, on the other hand, was to be a fascist. Leaders of military coups, like imperialists and colonialists, are never democrats. That’s quite right; conservatism means different things to different people. For me, it’s the opposite of ‘progressivism’ of the change fetishism variety. A change doesn’t ever necessarily mean an improvement, but our fetishistas want to ‘change’ society in their own image. There’s something biblical and evangelical about their impulses. Change from what to what? I suspect it’s all about WHO GETS WHAT. And I blame the conservative establishment for abandoning the field for PC and socially ‘progressive’ (read ‘tyrannical’) ideologies. As my son who works in politics says when I ask him why corporate Australia is jumping onto the PC bandwagon and spriuking bogus refulgences…”they don’t want to be hated; they just want to be loved”. Message: if you want to be loved have some self-respect and BE LOVE-able. Not false. The difficulty with labels is that they either overlook complexity or they conflate outcomes. There is not one mould of conservative in Australia and there certainly wasn’t in Franco’s Spain. It perhaps better clarifies matters if one examines what individuals or groups of people believe in. In other words the label is just the starting point. 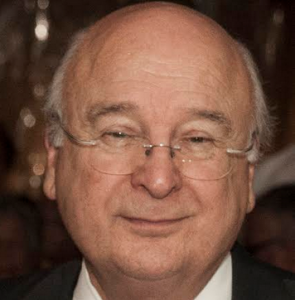 So in Australia there are different forms of conservatism that believe that many of the values and practices of the past should be adhered to (conserved), though the more liberal minded of those, the more democratically minded of those, feel there needs to be an intelligent, open discussion before change is introduced. There was recognition that attitudes towards Aboriginals were changing, and labelling them as primitive, lacking in intelligence and incapable of integrating was no longer in accordance with the way they were perceived in the mid twentieth century: a shift had occurred and deserved to be both recognised and responded to by those of a more conservative cast. There were others, a small percentage as it turns out, who refused to adjust. There is also ambiguity in the use of the word ‘liberal’. At the time the Liberal Party was formed out of the ruins of the United Australia Party, the term was intended to signify open mindedness, yet in America the same term wore the sort of ignominy ‘progressive’ does today: it was seen to be akin to socialism. Labels can also be used to slant an argument, so the use of the appendage of ‘magnate’ in conjunction with mining is intended to denigrate at the same time overlooking the benefits of mining coal (for instance) an industry that provides employment, royalties, taxes, stimulation of the economy and a source of cheap plentiful energy for power stations (for instance). In this context ‘magnate’ plays into the politics of ‘envy’. One could go on, and to do justice to the topic, might justify writing another hundred thousand words, and there’s not the space for that here. Ah yes, ‘the politics of envy’ as labelled so by John Howard, and rebadged as ‘the politics of greed’ by Brian Toohey. The term ‘magnate’ probably sits better in relation to the iron ore billionaires like Rinehart, rather than to the corporate owners of coal; so I take your point, Warty. Using our one-off never-to-be-renewed deposits of coal as a source of “a source of cheap plentiful energy for power stations” is about as hare-brained and short-sighted a use for them as can be imagined. And that’s without considering the climate effects, over which the more coal-fixated short-term thinkers among us choose to use the ostrich approach. “impose a conservative Catholic policy on the funding of abortions” – No, if you want to fund abortions, you can. Medicare forces people to pay a tax, supposedly to save lives, that instead *ends* them. And Abbott didn’t have a problem with that! That you can accuse him of pushing religious policy (a policy that in our grandparents day was considered simple morality by all – because it is) because he didn’t want to extend funding of the current slaughter shows just how warped our society has got. Abortions are often necessary for the avoidance of a woman’s death, ill-health, and future life of unhappiness. They are always done at the request of the woman who finds herself pregnant when she does not want to be so. And Abbott didn’t have a problem with controlling such a woman’s access to the taxation revenue gained by taxing all Australians. That speaks volumes about the man’s mentality and ideology. Abortions – legal, ‘safe’ abortions – kill mothers, cause them physical and mental problems that can last for the rest of their lives. It multiplies their risk of suicide by a factor of 6, and doubles it in the fathers. 64% of women who have abortions feel pressured into doing so. And you condemn Abbott for not regarding govt money as an endless font. The volume on your mentality drowns out everything else. I never said abortions were nice, pleasant or trouble-free. Some select them after advice, consideration and counselling as the least-worst option in their particular circumstances. But ‘whitelaughter’ and Tony Abbott, would I assume have them made illegal and out of reach of all; all except those with enough money and clout to evade the law, which can be done. Strictly for the good of the women, mind, who do not necessarily know their own thoughts or interest as well as Abbott and ‘whitelaughter’ do. Nor did whitelaughter, trollster. It’s that sort of gratuitous straw man that you insert constantly into inane arm waving that wl is referring to as drowning out everything else. For myself, I recognise you have not demonstrated a higher capacity so I cannot be disappointed, although others may still be. Thanks Ianl. Our only hope of returning to civility and reason in debates is the willingness to call out poor form in argument, and I appreciate your efforts here. (Feel free to call me out as well! I know that when angry or tired I screw up, but appreciate those that help me do better). The death toll in the US since Roe v Wade is pushing 60 million. Every year in Australia somewhere between 60,000 and 100,000 are killed. All of these figures are for surgical procedures. Who knows how many chemically-induced abortions there have been. RU-486, for example, is used up to nine weeks after the last period. Ian, could you estimate how many of these have been to avoid a woman’s death, how many to prevent ill-health, and how many to circumvent future unhappiness? Quite frankly, I would not have a clue. But I would be surprised, given the modern rules, if many of them, or even one of them, got carried out when and where, against the will and wishes of the woman concerned. Australia is not one-child-per-woman China. It is rather surprising how the two italicised paragraphs of this article – quotations from Benjamin Disraeli and Tony Abbott – seem to be insufficient for the enlightenment of the readers commenting above. Those paragraphs constitute the most excellent definition of genuine conservatism. The comments seem to suggest a lack of comprehension of that pithy definition. Managed change when it reflects the will of the people is something few people today can come to terms with simply beecause listening to and identifying the will of the vast majority is no longer ‘in vogue’. Educated Experts now know best and each has a twisted idea of conservatism … and as you say it shows here. trollster: n; 1. one who remains supportive of mainstream climatology and unconvinced both by denialist and denianlist argument against it, particularly when such are advanced by AGW denianlists and shills for corporate coal; 2. one who refuses to always agree to the prevailing party line, when in discussion in the context of an echo chamber. NASA data, falling sea levels 3 years in a row after a very very long period of decelerating incremental rises. Deny that Ian and you deny the existence of climate change … global cooling. Same in this case IMHO. At the NASA site below there is a graph of their log of sea level rise, starting from a base line of zero millimetres as of January 5, 1993. In sawtooth fashion, it rose to 87.6 mm above that base by April 1, 2016 declining to 84.8 mm by July 31 2017: the last reading reached in that particular record. It appears to be in a flat phase now, just as it was in the period 1993-1995. I hope it stays flat and turns downwards again. But as I said, too early to tell. NB: But for what it’s worth, I think you have done well on the theological front. How are conservatives to respond when the tradition and the values have been trashed by decades of increasingly radical “progressive” cultural whiteanting and legislative vandalism? There is now at least one generation which has been virtually inoculated against Western and Australian tradition and culture. The Boomers have done unspeakabel damage, but at least there was some memory of what things were like. Their children have been taught outright hostility to the foundations of their parents’ young lives, and their grandchildren are being raised in a context of cultural insanity. Any attempt to rebuild any of those cultural values, and to turn back the legislation, is necessarily reactionary. Ther is no longer any meaningful difference, as I think Tony Abbott may have discovered as PM. If the glaciers and ice caps are melting and the oceans expanding because they are warm NO MATTER WHAT THE PERIOD it follows the earth is cooling not warming. Add the hiatus in rising surface temps and well … you work it out. I doubt Ian you would agree with my views on religious belief and common sense. Chou-En-Lai was one of those supporting the Mass Murderer Mao. Oops … it follows if the ocean levels are falling the earth is cooling not warming. Cooling would be welcome if it were happening, but in the light of the graph at https://climate.nasa.gov/climate_resources/24/ it is too early to tell, as there has been plateauing before, only to be followed by further rise. And “too early to tell” is not permanently invalidated from use because Chou En Lai, guilty of whatever, once said it. The strongest argument supporting the position of the Ostrich School: AGW could not possibly be happening, because if it was, it would be bad for business, and particularly for the coal business. We accept the Intergovernmental Panel on Climate Change (IPCC) assessment of climate change science, which has found that warming of the climate is unequivocal, the human influence is clear and physical impacts are unavoidable. Cooling would be welcome if it were happening, but in the light of the NASA graph at https://climate.nasa.gov/climate_resources/24/ it is too early to tell, as there has been plateauing before, only to be followed by further rise. And “too early to tell” is not permanently invalidated from use because Chou En Lai, guilty of whatever, once said it. AGW could not possibly be happening, because if it was, it would be bad for business, and particularly for the coal business. Ian How can it be warming when ocean levels are falling? Keith: Short answer yet again. A chip out of the sawblade is not a “fall”. Otherwise, put your dunce’s cap back on and get back in that corner.